A former second-in-command of the submarine Alaska has been convicted of using a cellphone to secretly record others before broadcasting the footage. Lt. Cmdr. Bryan P. Watson was fired as the blue crew executive officer of the Georgia-based boat in July 2017, for what officials said at the time were the preliminary results of a Naval Criminal Investigative Service investigation. As part of a pre-trial deal, Watson pleaded guilty to indecent visual recording and broadcasting of an indecent visual recording charges on May 1. Watson was sentenced to 15 months in the brig and a dismissal, according to the Navy. Officer dismissal is equivalent to a dishonorable discharge. Navy officials declined to say how Watson disseminated the footage and said only the information on the charge sheet was releasable. Lt. Cmdr. Bryan P. Watson has been fired as the blue crew executive officer of the ballistic missile submarine Alaska, Navy officials said Tuesday. Watson was transferred to the Navy’s brig at Charleston, South Carolina, in June and could not be reached for comment. “They’re not entitled to talk to the media,” the brig’s administrative officer, James Greenway, said Tuesday. 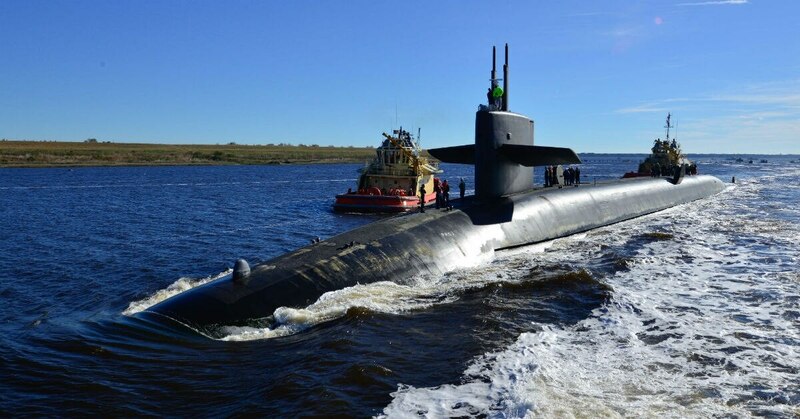 The nuke officer was commissioned in 2003 and had stints on the submarines New Hampshire, Louisiana and Michigan before reporting to the Alaska in March 2017, according to Navy Personnel Command records. He also worked at the Office of the Chief of Naval Operations from 2013 to 2016, according to the records. Navy Judge Advocate General Corps officials said personnel issues prevented Watson’s May conviction from being posted online until recently.